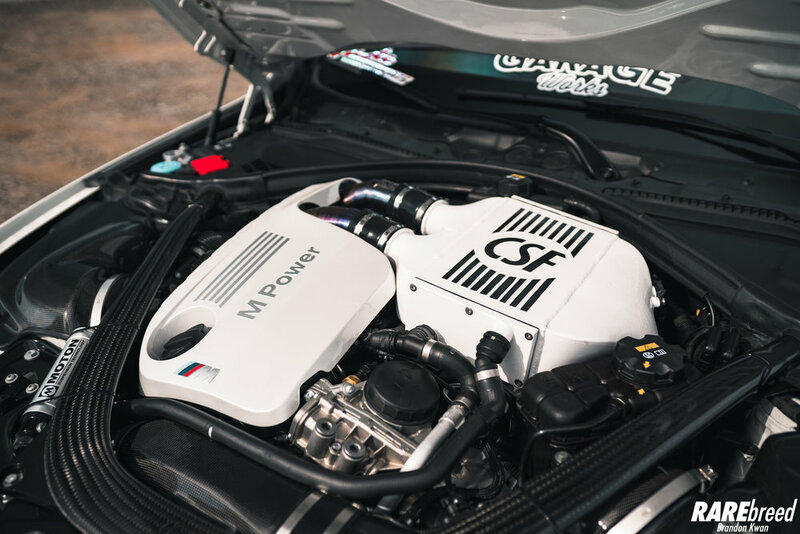 Speed Image USA has slowly become a household name for aftermarket parts. Although their specialty is anything from Rays Wheels (check out their Instagram story), they can get their hands on almost anything. The last time we shot with Tom, he owned an Aimgain Lexus 3GS. 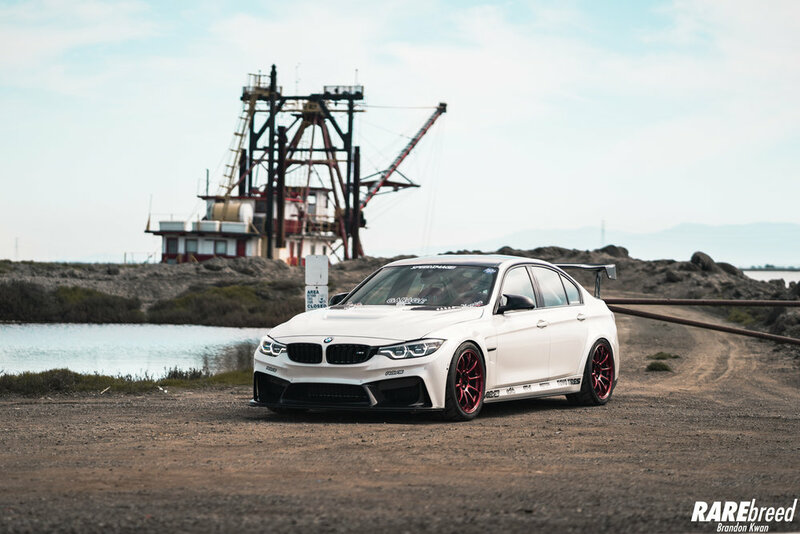 This time around, he set his focus to this 2018 BMW M3. 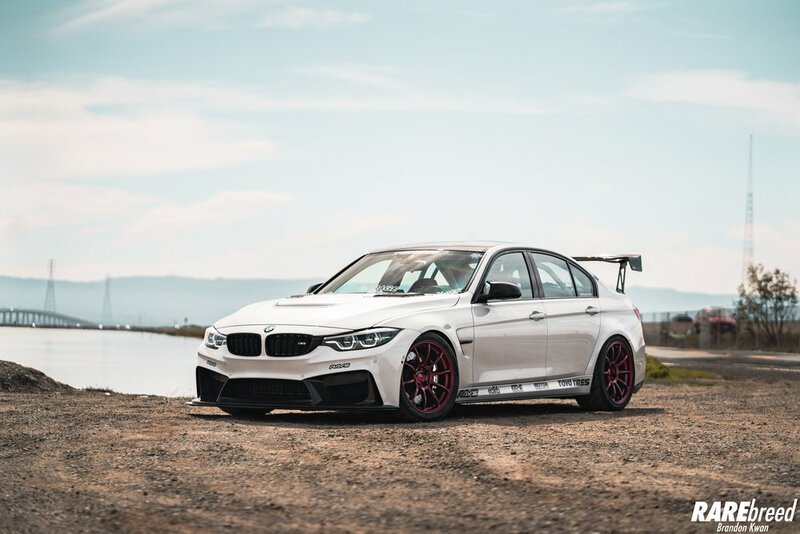 Immediately after the purchase, it was geared for SEMA 2018 prep and while still in progress, here is Tom’s M3 in its latest form. Although most would not be able to tell, the OEM front end has been completely swapped out. a 3D Design Carbon Fiber Front Bumper really emphasizes the aggressive look. In addition, the Varis Japan Full Carbon Fiber Hood completes the style. Europe always gets the cool stuff- BMW Shadowline Euro Spec Tail Lights. The exhaust tone on this car is something else. The best way to describe it is a popcorn machine that pops and crackles- also 20x louder. 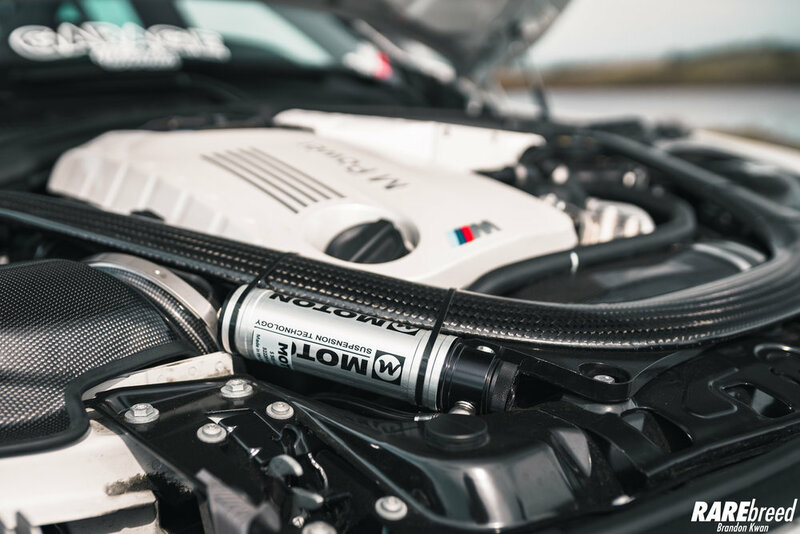 To achieve the desired sound, a full setup provided by MXP Performance was installed and polished off with carbon fiber tips. It’s all in the details. Wheels of choice are 19” Volk Racing ZE40 in Hyper Red wrapped with aggressive Toyo Tires R888R. The interior is without a doubt the most eye catching. Going with the original BMW interior, the front seats were swapped for the more aesthetically pleasing Edirb by Bride 023 Seats. These are not your traditional bucket seats as they are made with leather rather than cloth. For added safety, a pair of Willans Seat Harnesses keep riders planted while also providing contrast with the seats- nice touch! Moving to the back seat, there is a monkey bar set for kids to climb- just kidding! 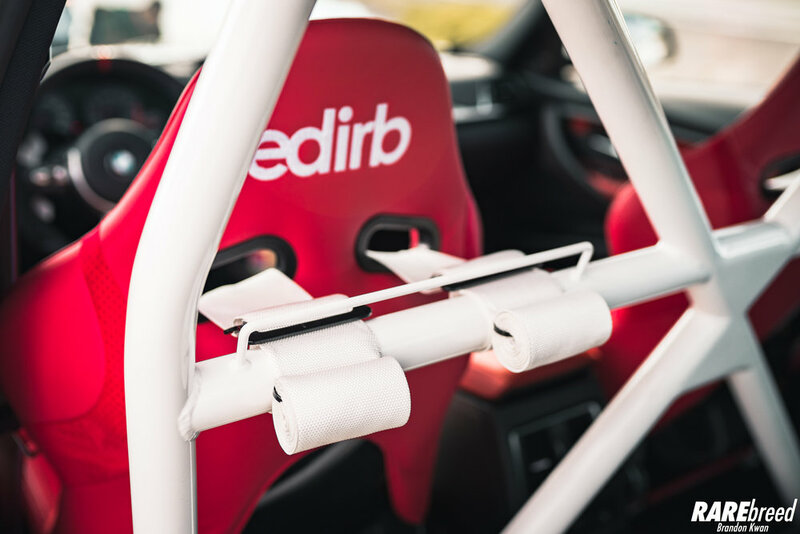 The beautiful roll bar was developed by Studio RSR to provide a more safety and added rigidness. Also going with the carbon fiber theme, Street Faction built a custom Carbon Fiber Rear Seat Delete. 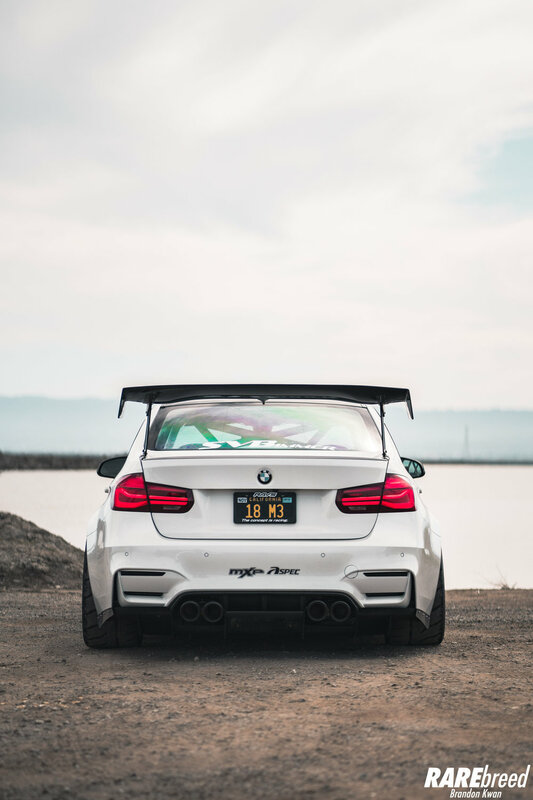 Check out all the sponsors that helped Tom get his M3 to SEMA 2018! To see more updates, check out Tom’s Instagram!